If you’re following me on any social media, you will know that for the last few weeks I have been completely caught up with the madness that is moving house. I very naively thought it would just be a case of packing up a few boxes, unpacking them at the other hand and voila, you’ve moved! That was certainly not the case and in fact, I feel like I have barely stopped since we picked up our keys. Being so busy, I haven’t had a lot of time to myself. In fact the only brief opportunity I have had to relax and pamper has been when I’m jumping, or rather stumbling, into the shower at the end of a crazy long day. That said, I have had some indulgent new goodies from Nivea to try while doing so, which means I can’t complain too much. When I’m showering, I always favour lotions and potions that you can really work up into a luxurious lather. As a result, I was really pleased with the Creme and Oil Pearls. Infused with Argan Oil and, in this case, with added scent of fresh Cherry Blossom, it froths up into a lovely velvety lather. The formula is a shimmery white colour and the addition of tiny ‘oil pearls’ work to moisturise the skin. I’ve found I only need about one and a half squeezes to have a sufficient amount to wash my whole body with this and, after use, my skin feels well cleansed and supple. 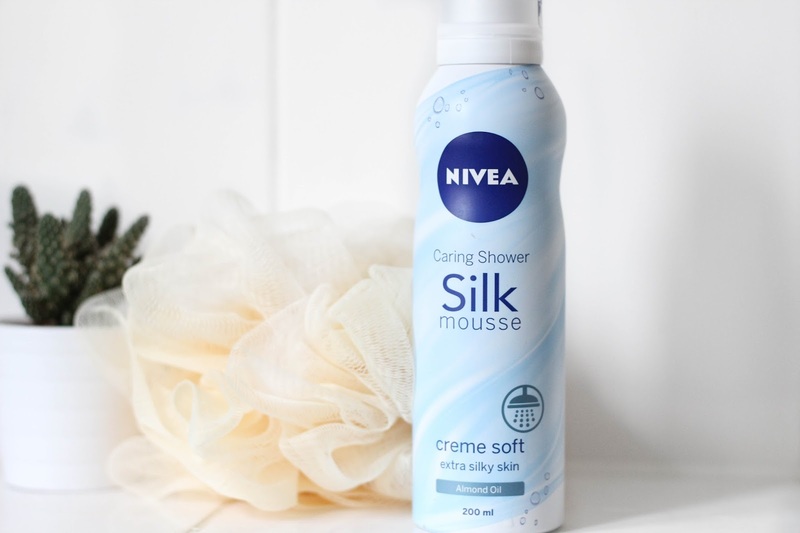 Next up, the Caring Shower Silk Mousse. Generally, the only mousse like products I’ve used in the shower have been shaving foams and the like, so a cleaning with a similar formula seemed a little abstract to me at first. Initially, this squirts out as a liquid before quickly taking a mousse form. Despite my initial reluctance, it quickly became apparent that really I was using a product which had lathered up all by itself. The creme is super soft and certainly silky. It contains Almond Oil, a wonder product for skin, which helps to cleanse and nourish the skin, sealing in moisture. Both of these products retail, quite impressively, at less than £3 which is very reasonable. If you are looking to try some indulgent new bath time products, without an indulgent price tag, I would certainly suggest giving these a try. 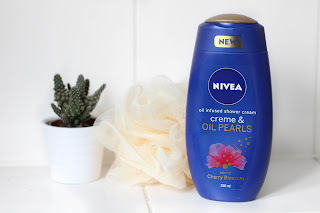 I am a big fan of Nivea products and these just highlight even further how consistently fantastic this brand is at caring for skin.